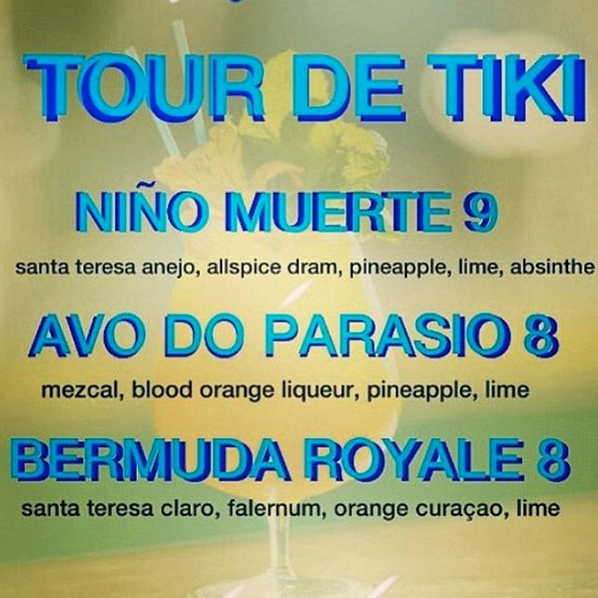 Tour de Tiki at Gladys Caribbean Tonight! Yo! ALL MY NYC TIKI-HEADS! Tour de Tiki, the best Tiki party in Brooklyn, sets sail tonight for Glady’s Caribbean! Headed by the Kween of NYC Rum, Shannon Mustipher, tonight’s party will feature Santa Teresa Rum cocktails created by Shannon and myself! Check the Facebook event here.